Learn invaluable strategies for profitably marketing your products, services, and company on a limited budget both online and offline. Each year it is estimated that US corporations lose an estimated $350 Billion due to low productivity of actively dis-engaged workers. 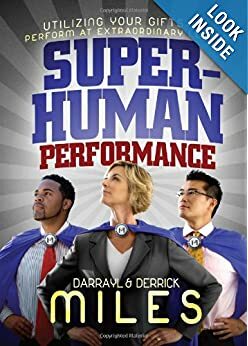 To help people and corporations solve this problem, Darrayl & Derrick Miles have authored one of the most anticipated book series of the century—Superhuman Performance: Utilizing Your Gifts to Perform at Extraordinary Levels. In this series, The Miles Brothers have conducted world-wide research of successful executives, entrepreneurs, celebrities and faith based leaders. What they found is that the industries most successful know their Gifts and put them into practice each day in their life. To easily digest the thousands of hours of research and hundreds of interviews, The Miles Brothers split the book into two digestible smaller works; Superhuman Performance and Superhuman Performance II. Superhuman Performance teaches us the Gifts of Administration, Craftsmanship, Discernment, Encouragement, Faith, Giving, and Helps/Service. 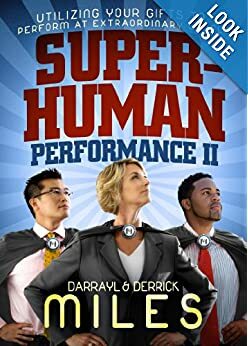 Superhuman Performance II continues the discussion by teaching us the Gifts of Hospitality, Knowledge, Leadership, Mercy/Compassion, Teaching, Wisdom and Writing. 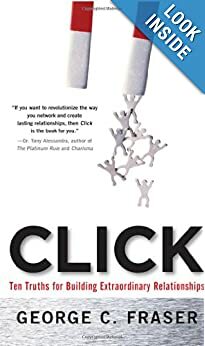 After reading this revolutionary series, people and corporations alike will have learned the key concept to achieve peak performance from each individual in the marketplace. Individuals that learn their Gift will have the foundation for experiencing joy, fulfillment and personal satisfaction in their work. Corporations will have a footprint to develop their workers that will lead to higher sales, customer service and higher productivity/performance. Brown, a management consultant, presents a smart and readable guide for executives seeking to improve the effectiveness of their corporate strategies. Even though one-third of all business strategies fail, executives tend to stick with the plan, maintaining that a bad plan is safer than no plan at all. Brown shows how to break free from this mentality and makes her message stick with energetic prose and cheeky humor. She questions prevalent corporate beliefs and shows how following these misguided approaches can ruin an organization. She highlights change as the key factor; it’s the “anti-gravity” that will propel a company forward. Citing such successful examples as Nu Skin and Southwest Airlines, Brown illustrates key points on what works and what doesn’t, and concludes each chapter with a helpful summary. 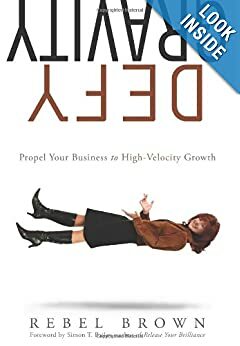 A new voice in a very crowded field, Brown provides an original perspective on corporate growth. One of America’s foremost authorities on networking reveals how you can connect with other people to realize business and life goals Personal growth guru Stephen Covey calls George Fraser a “masterful teacher.” TV host and journalist Tony Brown calls him a “visionary with the rare combination of leadership and management skills.” And each year, tens of thousands of people attend his seminars and conferences to learn how to move beyond networking and start truly connecting to take their relationships to the next level. Fraser shares the insider secrets that will help you to tap into the richest resource on the planet—other people—to achieve goals and share your talents in business and in life. Discover inside negotiation strategies and tactics you can use to create more opportunities in your life. 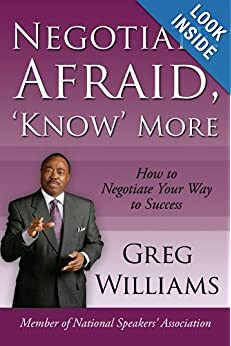 If you want strategies you can use to get a job, a raise or a promotion, get higher fees for your products or service, buy a property at a lower price, sell a property at a higher price, or get the love your life, the strategies in this book will give you great insight into how to accomplish your goals, quickly. Success in any industry relies on relationships, whether with co-workers, clients, suppliers or investors. When you’re well-mannered and considerate in dealing with others, you create engaging, productive and long term business relationships. As such, it is important to learn, not just the technical side of a business, but how to conduct one’s self in the company of others. Now you can have the secrets of some of the most influential and wealthiest people in the world in a quick and easy format you can implement immediately. Women Who Win: Business Etiquette Tactics that Lead to Triumph in Life and Business. If you’ve answered yes, then I’m you’re going to love my new life-changing Money Mindset Breakthrough Coaching program. So if you’re ready to experience your own amazing money breakthroughs – all you need to do is click the link on this page to find out how.